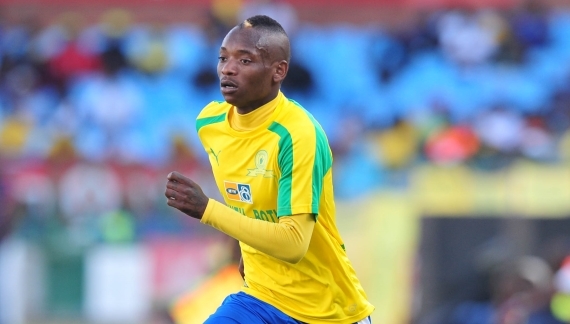 Mamelodi Sundowns forward Khama Billiat says the team is ready to bounce back from their MTN8 final disappointment and challenge for silverware this season. Billiat and the rest of the Sundowns squad, who were crowned Premiership champions last season, await a two-legged CAF Champions League final with Egyptian side Zamalek, but will need to beware of the fatigue they showed last Saturday. The 3-0 loss to Bidvest Wits was a bitter blow to Pitso Mosimane's side who looked invincible to that point but after 15 months of football with no off season break in, it felt inevitable at some stage. Nevertheless, Billiat feels it was a once off performance and there will not be a repeat of it in the Champions League and other domestic competitions. "We can't choose the way we learn sometimes and I'm sure we are ready for anything right now," he told Sowetan Live. "We don't want to repeat the same mistakes. "We are strong. We watched the game against Wits. We had to watch it to be better in the next game. It is so hard to digest but at the end of the day we don't have much time to mourn. We have to come back and do things right."